I was very eager to write about artificial intelligence for a long time. What exactly is the root? the century which caught my attention, they are, a serious bid for immortality (where death has now become more of a technical problem) and intensification of the pursuit of happiness (in short pleasure!). He further quotes, “It will be necessary to change our biochemistry and re-engineer our bodies and minds so that we shall need to re-engineer Homo Sapiens so that it can enjoy everlasting pleasure. Having raised humanity above the beastly level of survival struggles, we will now aim to upgrade into gods and turn Homo Sapiens into Homo Deus” (From the book, Homo Deus: A brief History of tomorrow by Yuval Noah Harari). This has been a very common problem in the past. A problem that finds its grounding when humans are curiously wanting to place themselves at the seat of God. In simpler terms defining good and evil by themselves (Refer Genesis 3, you shall be as God, knowing good and evil, paraphrased). This may seem all new because it has a touch of scientism and technicality in it. The craving to know everything and achieve everything is what leads to this quest of living a life as Homo Deus. “It seems to me that a lot of needless debate could be avoided if AI researchers would admit that there are fundamental differences between machine intelligence and human intelligence. Differences that cannot be overcome by any amount of research. In other words, the “artificial” in artificial intelligence is real”. ~ Prof. Joseph Macrae Mellichamp, Emeritus Fellow of Management Sciences, University of Alabama. The assertion that the AI or ASI (Artificial superintelligence) and humans have vast differences are very true. I remember watching a movie in my 11th grade called “Robot”. I was seriously led into thinking that a human could possibly design a machine which could interact with the world around them with such freedom. Remember this is in 2011. Now exactly after 5 years a human robot named Sophia was activated on February 14, 2016, at South West Festival (SXSW), Texas. Possibly you can think of a future 5 years from now on. But I want to draw the reader’s attention on something else. There’s a key element that went missing in the life of that robot which is found in abundance in humans. Emotions and feelings. The plot of the movie was very hypothetical about the way the emotions were fed to the robot. The movie ended with a very drastic catastrophe caused by the robot. Possibly, it became more powerful than humans. Let’s consider several dissimilarities or uncommon characteristics between humans and robots. We can have zero confidence that the dominant intelligence a few centuries hence will have any emotional resonance with us – even though they may have an algorithmic understanding of the way we behaved”. ~ Prof. Martin Rees (British cosmologist and astrophysicist, University of Cambridge). May I add a little elaboration about the above-stated assertion. Though the robots may be trained to have an understanding of the way humans behave, it can never reach the way humans are made to develop feelings for other humans. For example, if I as a human is in love with someone, the emotions and feelings for that very person comes from within. No one has to program it for me in order to love the other person. But you see that’s not the case with the robots. For robots to know and love other robots or humans they have to be programmed the way humans work. And so, the robots cannot do things on their own provided it is trained by a more intellectual mind, humans. “But here is what we are not born with: information, data, rules, software, knowledge, lexicons, representations, algorithms, programs, models, memories, images, processors, subroutines, encoders, decoders, symbols or buffers – design elements that allow digital computers to behave somewhat intelligently. Not only are we not born with such things, we also don’t develop them – ever. Computers, quite literally process information – numbers, letters, words, formulas, images. Humans, on the other hand, do not – never did, never will. It is one thing to say that brain functions like a computer. It is an entirely different thing to say that it is a computer”. ~ Roger Epstein (former editor of Psychology Today, “The empty brain”). Roger Epstein has pretty much summed up the understanding between a human and a computer. Think like this. If I’m witnessing a predicament that I never ever witnessed before (completely blank, not even knowing what it means), would I be able to take the right decision or any decision? Now the answer for this question can be, yes I can take it, doesn’t matter if it’s right or wrong. But, that’s not the case with a robot. In order to take certain decision, a robot has to be programmed, in order to take certain decision or do a certain task. He cannot perform a task as we humans perform. This is what we call as “cognitive consciousness” and “awareness”. Robots can be intelligent (more than humans) but they are not conscious. AI separates intelligence and consciousness but remember that God links them. life is all about) to a robot. Well, only God wins in the end. A God who was and is big enough to create humans in His image (Read Genesis 1:26-28). That’s exactly where life of conscious thinking and intelligence began. That’s exactly where search for a new Homo Deus is worthless. “Super creation already exists. God is primary, universe is derivative, Creation by speech act, “and God said”. God speaking from an open system and not a closed natural framework”. ~ John Lennox(Emeritus Fellow in Mathematics and Philosophy of Science, Oxford University). 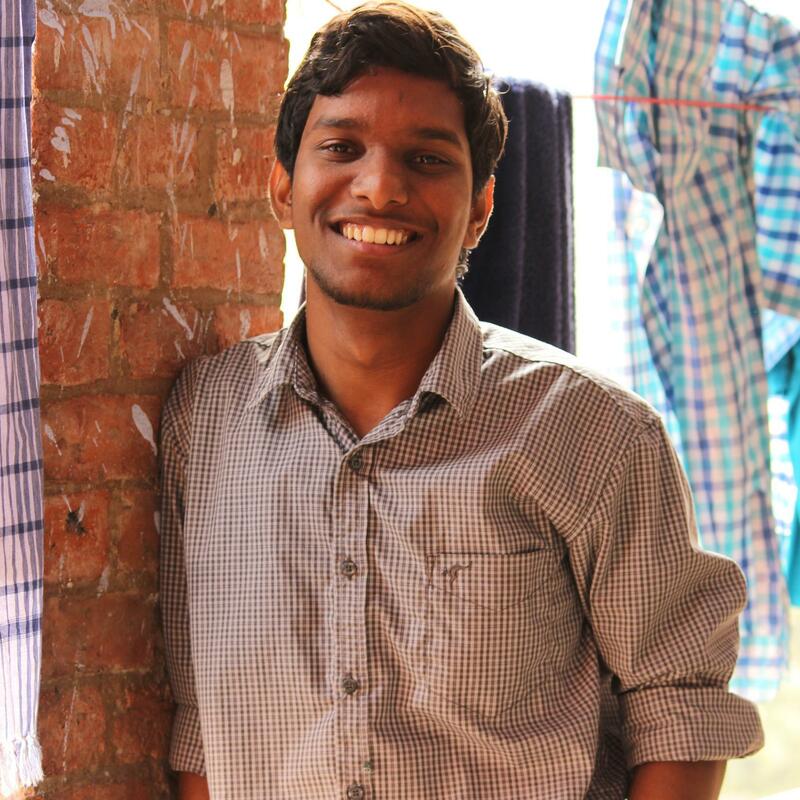 Nitin is pursing his Master’s degree from IIT Kharagpur, where he is also a project assistant. He looks upto Ravi Zacharias and is an ardent fan of his books. An intellect by being and a child when it comes to asking question, He will not rest until he finds his answers. He is a contributing author in Sowers. You can contact him through our site. On the Streets of Meerganj | Prayagraj’s Red Light Area. The Greatest Question you can ever ask..